Nothing to thrilling or exciting going on this past week. Work and life are moving along and before I know it, it's Wednesday and time for an update. I can see the light at the end of the mitered square tunnel. This has been a long time coming but I am so close to finishing this section. I plan on getting it done this week and sewing all 4 sections together this weekend. I have been debating about a camel color for the edging vs navy. The original called for black but since my dark blue is so rich I worry that it won't look right with the navy. If you have thoughts or opinions please let me know to help me decide. I know it doesn't look like much but I am making progress with this project. 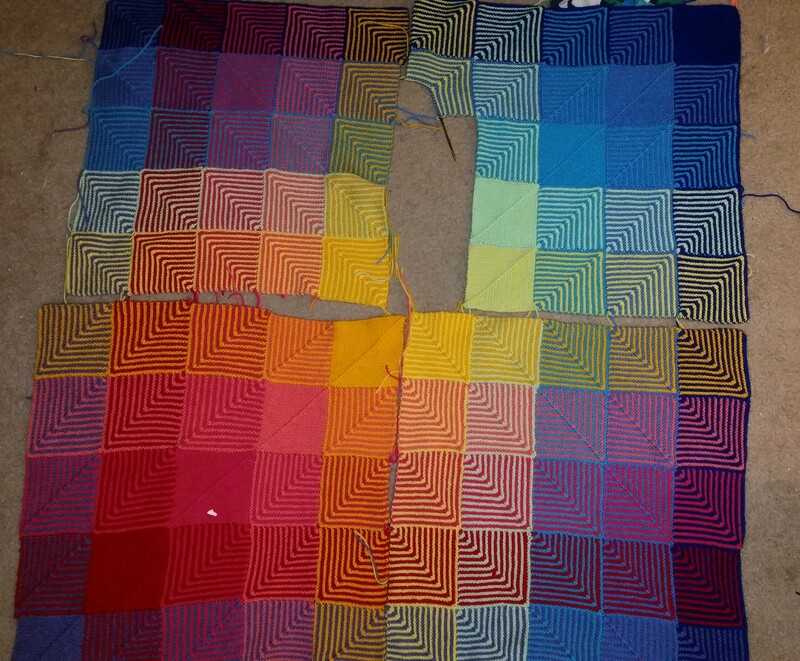 I get a few rows in when I get sick of mitered squares. 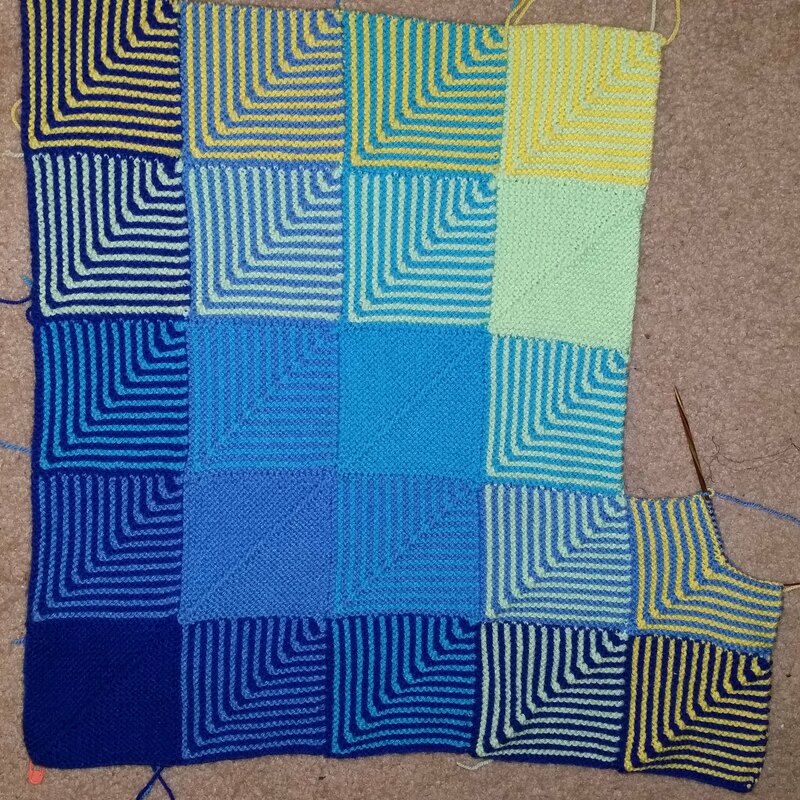 I have to knit this block until its 6.25 inches and I think it's at 5.5 right now. 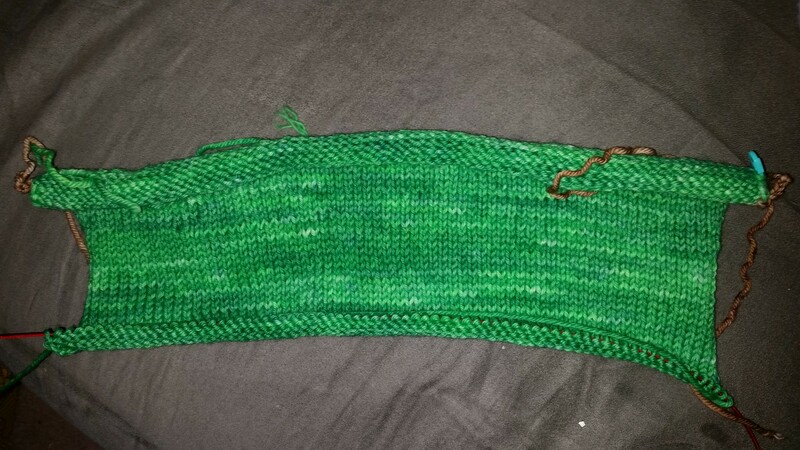 The next step is the arm hole shaping then picking up from the provisional cast on for the fronts. So I got another pattern repeat done on my swatch. I have one more to go before I can wash and block it. 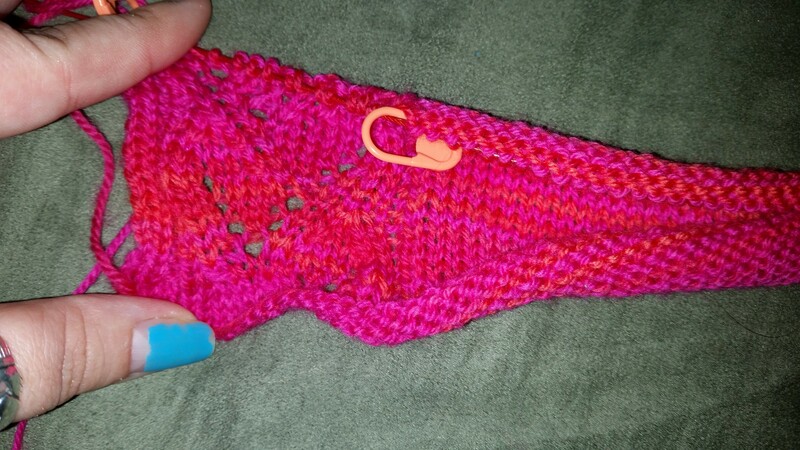 As of right now I am pretty sure I found my needle size and yarn. Wish me luck.